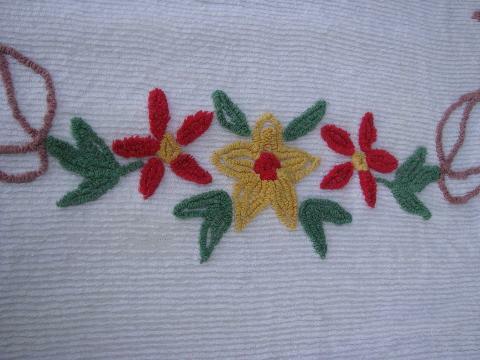 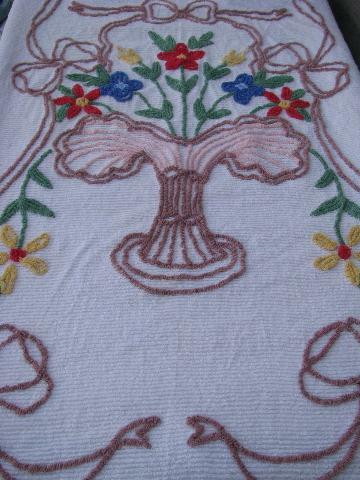 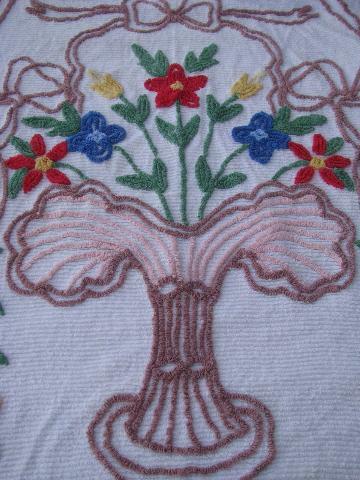 Vintage cotton chenille bed spread with pretty colored flower basket design on white. 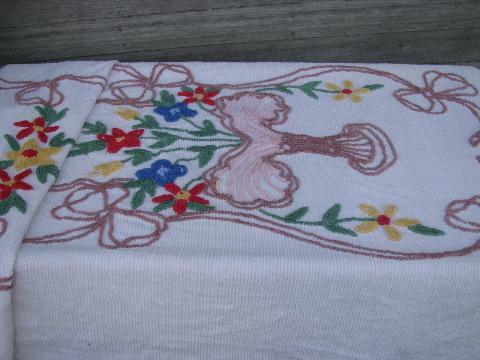 It measures 104" x 72". 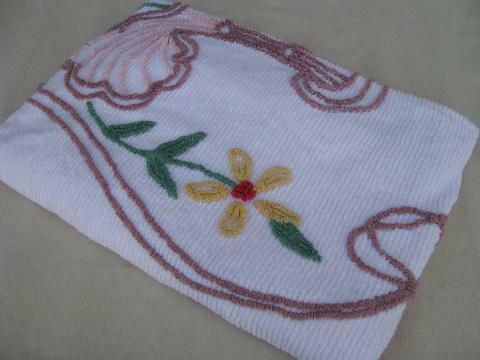 This looks nice, without serious spots, fading, chenille loss or wear to the chenille fringe, just a few light soil marks from use or years of storage.